The kit includes the front grille receiver with the Snake and both side wings assembled. 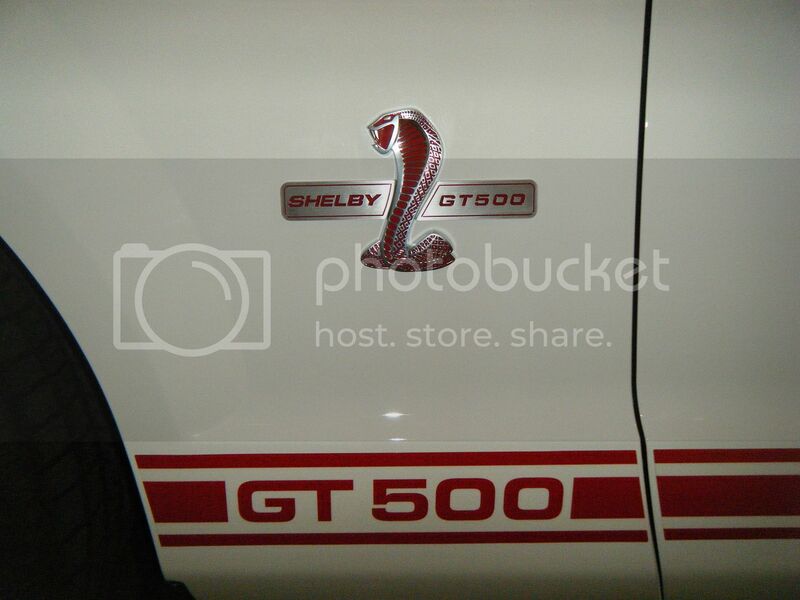 They also include the left and right fender "Shelby" and "GT500" side wing emblems. 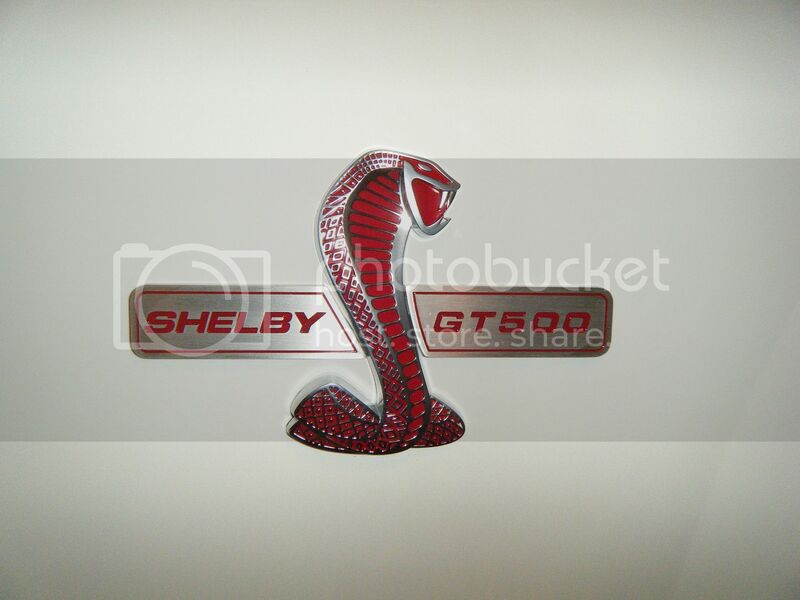 The side emblem wings are made from billet aluminum and feature the same size, dimension and quality as the ones used on the Shelby GT500KR, GT500 40th and GT500 Super Snake. Oh Yeah, saw this earlier and already ordered a set. I'll be out by the mailbox waiting for the next few days. 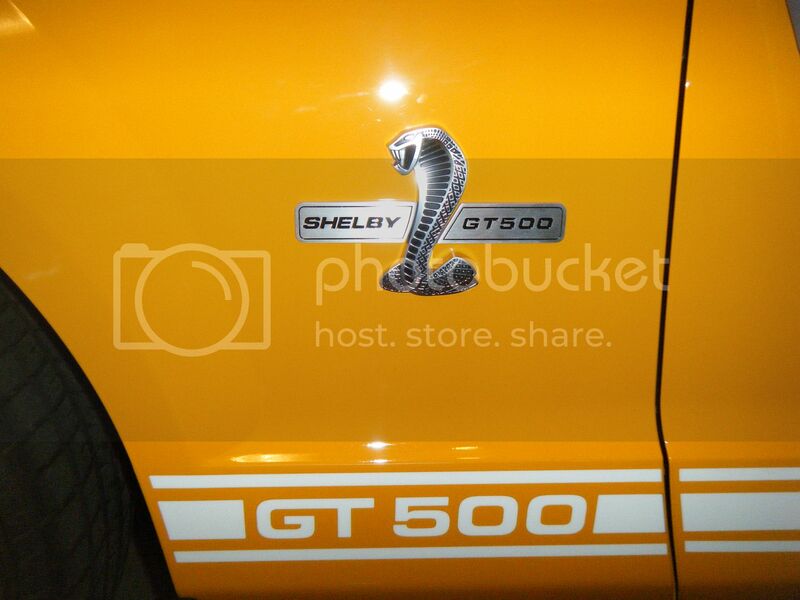 No more "Cobra" for me, it's a "Shelby GT-500" just like it says on the emblem. My work car, when I worked! Any idea if/when the 2010-13 wings will be available? Are there plans or do you have the 2010+ front grille receiver yet? I have a receiver for a 2007-2009 and the only way to utilize it is to break off the "wings" and glue them along side of my OE cobra. I prefer not to "Mickey Mouse" my car and I have seen the Shelby 2010+ Super Snakes with the two separate wing receivers that install on them which I'd like to get for my 2010. I figure since you already have them produced for the Super Snakes, you should be able to get them easy enough for the GP (GT500). I'd buy a set (side and front) if you sell them. We are working on a set for the 2010 and up GT500. Shouldn't be too much longer on those. Is it possible to get just the grille emblem set with out the side fender wings? Count me in on a set for the 2012 when they become available. I'm amazed they are not already available. You do realize these are for the '07 to '09 GT500's right? Which are NOT the same as the 2010 and up GT500's! Well, at least not the front grille "receiverS" (plural). The wings may or may not be the same (I frankly, do not KNOW). We're working on a kit and instructions for these. Side emblems are the same. The reciever for the grill is different. Interests:If its going to be, its up to me ! Are you working on any Red ones ? Also interested in ordering a pair for a 2011. Guys we are currently out of stock on the 2007-2009 wings. They went really quickly, we have 200 sets coming the second or third week of February. Add them to your wish list and it will email you when they come in. I guess the demand for the really cool red ones must be low. This is what happens when I don't log on for a couple days.... The emblems I have been wanting finally come out and they get sold out They are on my wish list now come on SPP we are ready! 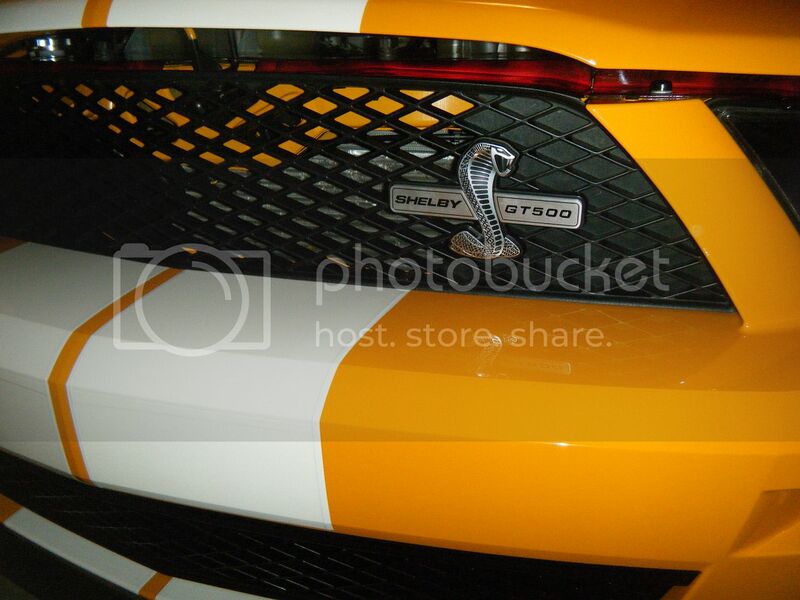 Interests:Cars: Shelby, Ferrari, Maserati, Lotus, Aston Martin. Animal conservation, rescue, & sanctuary. Will the side-emblem wings work for a 2011 (e.g. position properly with the supplied template)? I have a stripe-delete 2011, and the side wings would nicely compensate for the "GT500" identification on the missing rocker stripes. I am not concerned with "winging" the grille-cobra, because I think he looks dramatic & æsthetic by himself. If the side-emblem wings will align properly on a 2011, it would be nice if they were available as a separate pair too (minus the revised grille device). You do not use a template to set the side emblems. The Cobra's are the same on the 11 as the 07. If the Cobra is just a little bit crooked from the factory you would never know...untill you go to mount the side wings. The contour of the cobra aligns with the wings. When you go to make the wings straight you might notice a small gap because the cobra is a fuzz crooked. You can try to push on the cobra and it *might* move a fuzz. To install them you need to hold the wings up with out taking the tape off the backs of then and see how they will look on your car. Do a dry fit test. You need to have a good eye. Use some painters tape if you need to make a level line. Hold the wings straight and level and see if you can live with the small out of alignment gap. Compensate where you can. Then when you stick one on only stick one end of it on in case you need to tweak it when you install the 2nd one. Put the 2nd wing on and use your eyeball for a level line and then press them on when it looks good. If you mess up, you will have a hell of a time getting it off....so take your time. They look great Rob,nice job!! mustang Loco where did you get wings from? they look sweet!!!!! The red *snake* is easily had. I see them on e-bay all the time. Changing the black script to red would be a easy job if you have a little patience. The fender wings were available by themselves before everyone started bitching because if you used the template they weren't "level". And if I remember right, for the same price as ALL THREE cost now. So, just buy the set of three and you're getting the same thing that WAS available, for the same price but you're getting a extra set of "wings" for the same price. Then get some red paint, a little paint thinner and a cloth to wipe off the excess with. Viola, red snake and wings. I too, will be looking for the 2010+ emblems. Then I can take Phill' and Grabbers' tips and paint them grabber blue !! Perfect ! 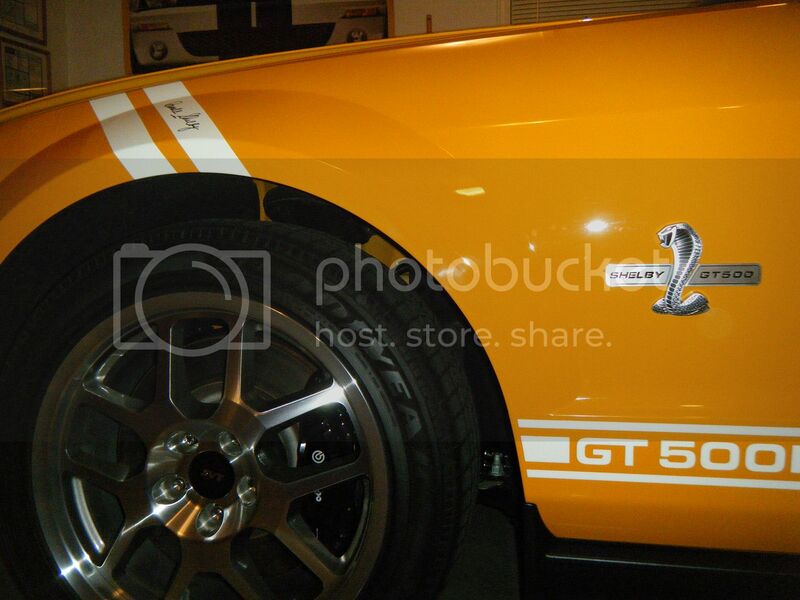 Will the 50th anniversary emblems be available for owners of 2012 GT 500? They would be a nice as they are a banner year car.